iPad vs. Galaxy Tab: Which tablet is right for you? 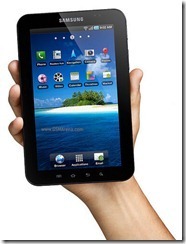 Recently, a new tablet was released that finally seems a worthy competitor to the iPad: The Samsung Galaxy Tab. Up until now, the iPad was the tablet to get — partly due to its inherent quality and great user experience but also due to lack of competition. So, choosing a tablet has become more difficult… which is right for you: Apple’s iPad (size: 9.56” x 7.47” x .5”; weight: 1.5 pounds) or the Samsung Galaxy Tab (size: 7.48” x 4.74” x .47”; weight: .08 pounds)? Do you have a mobile OS preference: Android (Galaxy Tab) or iOS ( iPad, iPhone, iPod Touch)? 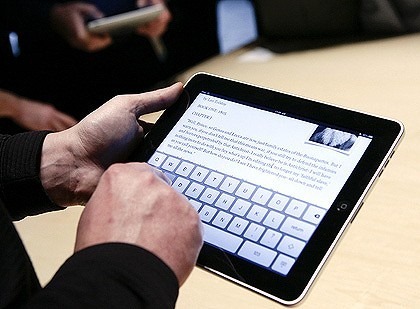 Apple is legendary for product ease of use, and the iPad continues that tradition. If you (or the person you’re buying for) currently use an iPhone or iPod Touch, they’ll immediately feel right at home with the iPad. Even if the prospective tablet user hasn’t used iOs previously, they should be able to pick up the iPad and quickly feel comfortable. OS doesn’t require a degree in rocket science but is more complex than iOS. I have non-techie friends who’ve bought Android phones and then felt overwhelmed, confused. If you consider yourself (or the person you’re buying for) a geek who likes to try new things, you’ll feel comfortable mounting the Android OS learning curve. How important is a large catalogue of apps available for download? 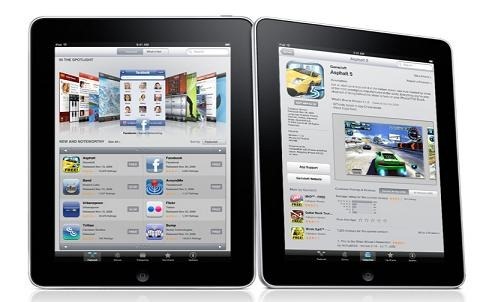 You want the largest possible catalogue of apps available to download to your iPad. 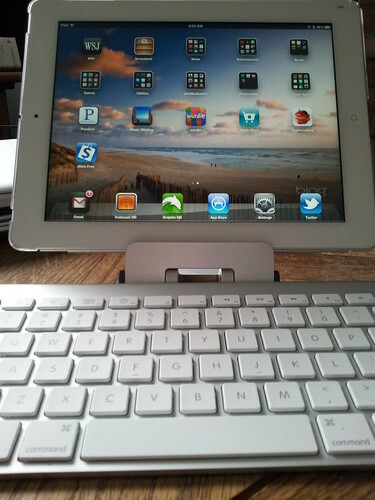 See my post listing favorite iPad apps here. You like the ability to obtain apps from the official Android Market as well as downloading apps directly from web sites. NOTE: AT&T Galaxy Tab doesn’t currently support installing apps from non-Market sources; all other carrier Galaxy Tabs allow you to install apps from a variety of sources as long as you go to Settings > Applications and select the option for “Unknown Sources”. You prefer to download free apps. Not sure why, while many apps I’ve installed for iOS were paid apps, it seems many more (although not all) Android apps are free. See my posting listing favorite Android / Galaxy apps (so far) here. Caveat: The best way to determine which is best for you (or the person you’re buying for) is to go to a local store. No amount of reading can replace checking out a device hands on. Galaxy Tab users can download movies from the Samsung Media Hub app, or load the movie onto their SD card. Watching Hulu / Hulu Plus: iPad is clear winner as Android does not yet have a Hulu Plus app, and you cannot successfully view Hulu / Hulu Plus video content via Android browser. Watching Netflix: Again, iPad is clear winner as Android does not yet have an app supporting Netflix streaming video. Watching TV shows on web sites using Flash: Galaxy Tab is the clear winner here as iPad does not support Flash in the iPad Safari browser. Reading eBooks: Both the iPad and Galaxy Tab offer ebook software (e.g., apps for Kindle, Barnes & Noble nook) but where do you plan to read? At a desk with tablet in stand: Both the iPad and Galaxy Tab work well in this scenario. Lounging on the sofa: I’ve found the Galaxy Tab to be more comfortable to use in this scenario since it’s the size of a Trade paperback book. The iPad is simply a bit big and heavy, and I wind up feeling distracted by having to hold / balance it. Browsing / web surfing: See eBook reading scenarios, above. 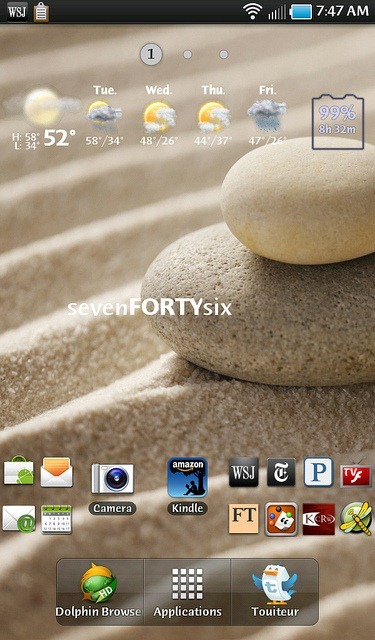 Information at a glance: While the iPad offers many more apps, Android (Galaxy Tab) offers the ability to add widgets to your home screens. I find the ability to get information “at a glance” to be extremely handy, especially when I have limited time. Games: Both devices are great for game play and have a variety of good games available. Flash games: If you like to play flash games on the web, Galaxy Tab is the clear choice (Flash not supported by iPad). As they say with cameras, the best mobile device is the one you have with you. I found that I left the iPad at home frequently just because it didn’t fit in my handbag. Do you want to avoid wireless carrier charges? iPad: You can buy either a WIFI-only iPad or an iPad that offers both WIFI + 3G connectivity (3G data provided by AT&T, with multiple price tiers). If you buy the WIFI only iPad, you will not need wireless carrier data access (and thus will not incur any related charges). Galaxy Tab: Currently in the U.S., the Galaxy Tab is tied to wireless carriers and can be purchased at a discount with wireless contract, or at a higher price without contract. It’s a little confusing to describe, and I recommend reviewing PCWorld’s pricing comparison here. Note: A WIFI only Tab is set to become available via Best Buy but its release has been delayed – my guess is Samsung will release it after the holidays, to ensure the WIFI only version doesn’t cannibalize wireless carrier sales. There you have it… questions I suggest considering before making your tablet purchase. Did I miss a usage scenario that you’d like to see covered? Leave a comment to let me know.